"Moscow is ready to resume direct flights with Georgia, and the other economic relations which were artificially aborted, if Georgia shows interest in it; the ball is in Georgia’s court,” Russian Foreign Minister Sergey Lavrov said in an interview with Russian Mir TV on July 9. “The kind of relations Russia and Georgia have at the present moment are not useful for either side and I hope the Georgian authorities will realise this. We did not spoil diplomatic relations with Tbilisi, Saakashvili did. 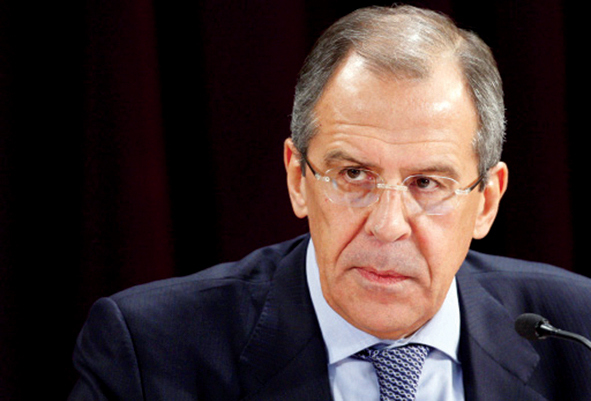 We understand very well that Saakashvili’s regime does not represent the Georgian people; it (the Georgian leadership) is an anomaly which does not originate from within Georgian society but was brought in from outside,” Lavrov said, adding that, "Instead of sending envoys throughout the world and slandering Russia and raising within international organisations the need for the “de-occupation” of Georgia, the Georgian authorities would be better off taking care of relations with the peoples living in this region: Ossetians, Abkhazians, and those of other ethnicities which live on Georgian territory, including Armenians and Azerbaijanis and other minorities,” Lavrov said. Georgia’s Vice Prime Minister Giorgi Baramidze said in response to Lavrov’s statements that Russia's problem is that it cannot adjust to Georgia being an independent state. "It would be better for Russia to take constructive steps; however it does not show signs of doing this. Russia cannot get used to Georgia’s independence. The US Secretary of State’s description of Russia's activities in Georgia as occupation should not suggest to Russia that statements alone will be enough; the process will end with Georgia’s de-occupation. Moscow wants to demonstrate that it has no problem with Georgia. It would be better for Russia to talk about the essence of the problem, meaning that Russia cannot contemplate Georgia being a sovereign, independent and united country,” Baramidze said. Petre Mamradze from the opposition Movement for Fair Georgia told The Messenger, "These statements by the Russian side are a hint that the Russian authorities are ready to collaborate with the Georgian Government and their statements in this direction are absolutely believable. Now it’s the turn of the present Georgian authorities to respond," Mamradze said. Analyst Soso Tsiskarishvili maintains that the Russian and Georgian authorities are not ready for collaboration at the present moment. "It is frequently said that Russia has changed its tone towards Georgia, however doing this is meaningful only when it is based on conscious decisions. At the present moment, relations between these two countries' Governments are so strained and the mindset of mutual hatred so much ingrained that even if they choose to negotiate it will be difficult for them to find a topic they can reasonably discuss. There would necessarily be a need for a mediator at such negotiations, either an influential country or foreign organisation. Our Government has its shortcomings, but this does not mean that the Russian Government does not have shortcomings too. Unless both sides start thinking seriously about their mistakes and responsibilities, and recognise and emphasise these, successful negotiations will be impossible,” Tsiskarishvili told The Messenger.